Have a question about Nantucket PowerChoice? Review the list of frequently asked questions below. Still don’t see your answer? Submit your question to our customer support team. 1. Why did the Town launch an aggregation? Municipal Aggregation was unanimously approved at the 2016 Annual Town (Article 104) meeting as a way to help the local community to save money and protect against dramatic seasonal price swings that have been difficult to predict and challenging for many to manage. Aggregation can also deliver greener power more cost effectively, including from island renewable energy sources. 2. What is the Nantucket PowerChoice Program? National Grid is responsible for electricity delivery in Nantucket. In addition, National Grid is typically your electricity supplier and they pass the cost of the electricity itself, known as electricity supply, along to you. This is called Basic Service. The Nantucket PowerChoice program is an alternative to National Grid’s Basic Service, called municipal electricity aggregation. Electricity aggregation is a form of group purchasing in which a municipality selects an electricity supplier on behalf of its residents and businesses. The goal is to negotiate the best price possible for everyone for the electricity supply portion of their bill, and to provide price stability, strong customer protection, and increased competition. Through a competitive bidding process, Nantucket has chosen Direct Energy as the program’s electricity supplier. With Nantucket PowerChoice, National Grid delivers electricity to Nantucket, but Direct Energy supplies it. 3. What do we know about Direct Energy? 4. How was Direct Energy chosen? Direct Energy was chosen as the result of a competitive procurement process. The Town requested bids from electricity suppliers using an RFQ (request for qualifications) process in which the suppliers first submitted their credentials, including information about their financial standing, their customer support operations, and municipal references, as well as their willingness to agree to the Town’s contract and the consumer protections within it. The Town’s evaluation committee reviewed the responses, identified the electricity suppliers that met its requirements, and then asked those suppliers for pricing bids. Upon reviewing the bids received, the committee chose Direct Energy’s 24-month proposal because it offered the best value for the community. 5. What will my electricity supply price be? PowerChoice is 9.05 ¢/kWh for all customers. This option meets state renewable energy requirements. New program participants are automatically enrolled in PowerChoice, unless they opt out or choose PowerChoice Green. PowerChoice Green is 9.55 ¢/kWh for all customers. This option provides 100% green energy with a focus on renewable energy produced in New England. You may select PowerChoice Green by calling Direct Energy at 1-866-968-8065. 6. How much will I save? Savings cannot be predicted or guaranteed. The program price is fixed until May 2020 meter reads. However, National Grid residential and commercial prices change every 6 months for residential and commercial customers and every 3 months for industrial customers. Nantucket PowerChoice will eliminate that seasonal volatility with a fixed program price, but that price may not always be below the National Grid Basic Service price. Any savings achieved will apply only to the supply portion of your bill. Delivery charges will be unaffected. 7. How is the Town able to get a better price than National Grid? Electricity prices are driven in part by how much electricity is used at different times of the day and of the year. When National Grid buys electricity, the price it passes along to customers reflects the electricity use patterns of all electricity customers across the entire National Grid service area, including those customers that use a lot of electricity during the most expensive periods of the day and the year. When Nantucket buys electricity, it can get a price that is specific for the Town’s electricity use patterns, which include less use at the most expensive periods of the day and the year. National Grid must purchase electricity on a fixed 6-month schedule, regardless of where the market is at that time. 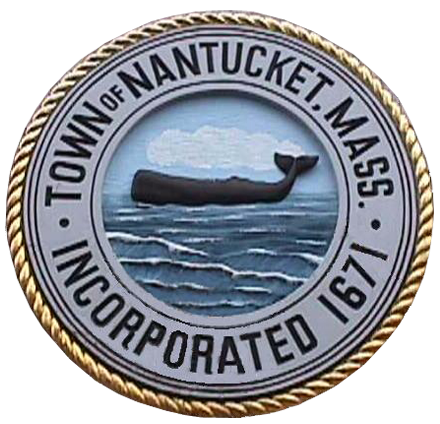 In contrast, Nantucket was able to coordinate its purchase more strategically, and wait for a time when the market was able to provide a more favorable price. In the future, if the Town decides to continue the program and procure additional electricity supply contracts, the Town will start testing the electricity market in advance of when it needs the new contract so that it has some flexibility around when it secures the price for that new contract. 8. Can I get 100% green energy through the program? Yes, you can. Upgrading to the PowerChoice Green option gives you 100%-green electricity for 9.55 ¢/kWh. 20% is from new wind energy projects in New England (Massachusetts Class I RECs) and is over and above the minimum state requirement. 13% is manded by law from new wind energy projects in New England (Massachusetts Class I RECs) to meet the minimum state requirement of the renewable portfolio standard (RPS). 67% is from national wind energy projects outside of New England. Additional renewable energy certificates (RECs) will be purchased from a mix of alternative and renewable energy sources to meet Massachusetts Renewable Portfolio Standard and Alternative Energy Power Standard requirements. You may upgrade to PowerChoice Green by calling Direct Energy directly at 1-866-968-8065. 9. How long will the program last? Nantucket has signed a 24 -month contract with Direct Energy. The contract price is in effect from May 2018 meter reads until May 2020 meter reads. Nantucket can then establish a new electricity supply contract or end the program and return participants to National Grid’s Basic Service. 10. What will change if I participate in this program? Your electricity supply price will change to the program price. You will see Direct Energy listed instead of National Grid Basic Service on the Supplier Services portion of your bill. Everything else will remain the same. You will continue to receive your bill from National Grid, you will continue to send your bill payment to National Grid, and you will continue to call National Grid when your power goes out. 11. Who is eligible to participate? All metered electricity customers within the geographic boundaries of Nantucket are eligible to participate. All new National Grid Basic Service customers will receive a notification letter and will then be automatically enrolled, unless they choose to opt out. 12. I have signed my own contract with an electricity supplier. Will I be enrolled? No. If you have already signed a contract with an electricity supplier, you will not automatically be enrolled in Nantucket PowerChoice. However, you may participate if you wish. If you would like to participate, we recommend that you first check the terms of your existing electricity supply contract. Many include minimum enrollment periods and early termination fees. If you decide to participate in the program, please call Direct Energy at 1-866-968-8065, mention the Nantucket PowerChoice program, and ask to be enrolled. 13. How do I join, or opt in to, the program? If you are a new National Grid Basic Service customer, you do not need to opt in to the program. You will be automatically enrolled. If you have signed your own contract with an electricity supplier, you will not be automatically enrolled in the program, but you are invited to join, or opt in. I have a tax-exempt account. How do I ensure my tax exempt status in Nantucket PowerChoice? Direct Energy is required to have tax exemption documentation on file for every electricity account that participates in the Nantucket PowerChoice and has tax exempt status. Without that documentation on file, Direct Energy may be required to charge tax on the account. They cannot obtain that documentation from National Grid. They must obtain it from each customer directly. If your account has tax exempt status, please submit your tax exemption documentation to Direct Energy via one of the methods below. Direct Energy has established a dedicated/secure fax number to receive your completed exemption certificate at 1-800-504-7428. If you prefer to email your tax-exempt certificate, please send it to AggregationSupport@directenergy.com. Attn: USN Tax Exemption Dept. 14. Do I have to participate? No. You may choose not to participate. This is called opting out. There is no penalty for opting out. You may do so at any time. If you opt out, you will continue with National Grid Basic Service. You may opt out at any time. To opt out, you may submit your account information through the online form. 15. If I opt-out now, will I be automatically re-enrolled in the program if and when Nantucket signs a new electricity supply contract? No. If you opt out of the program, you will remain opted out, even if Nantucket signs a new electricity supply contract at the end of the current contract. If you wish to re-enroll in the program at a later date, you may do so by calling the program electricity supplier at that time and asking to enroll. 16. Who do I call when the power goes out? Call National Grid if your power goes out, as always. National Grid will continue to deliver your electricity and maintain the poles and wires. 17. Will I receive a second bill? No. National Grid will continue to bill you for your electricity. This is the only electricity bill you will receive as a participant in Nantucket PowerChoice. 18. Will I receive a lower quality of service from National Grid if I participate in this program? No. National Grid’s quality of service will not be affected by your participation in Nantucket PowerChoice. National Grid does not profit from the supply charges on your electric bill. They make their profit from delivery charges. As a result, they have no preference whether they are your supplier or Nantucket chooses your supplier. 19. What if National Grid’s Basic Service price falls below the program price? The program price is fixed until May 2020. However, National Grid residential and commercial prices change twice a year or more, depending on rate class. As a result, the program price may not always be below National Grid’s Basic Service price. However, if National Grid’s Basic Service price does fall below the program price and you wish to leave the program and return to Basic Service, you are free to opt out. 20. I am currently under National Grid budget billing / eligible for the low-income delivery rate. Will this change? If you participate in budget billing or are eligible for any discounts from National Grid, those will not be affected by your participation in Nantucket PowerChoice. 21. I have solar panels. Will I continue to receive net metering credits? Yes. Net metering will work the same way if you participate in the program. Your net metering credits will continue to appear on your National Grid bill and will continue to be calculated based on National Grid’s Basic Service price. 22. I turn off my electric service seasonally. How will I be impacted? Your participation in the program is not impacted if you turn your electricity off seasonally. If you turn your electricity off but you do not cancel your electricity account, and you do not opt out of the program, you will still be enrolled in the program when you turn your electricity back on. The program impacts only the rate your are charged for the electricity supply portion of your National Grid bill. If you are not using any electricity, there would be no other charge on your National Grid bill associated with the program. 23. Why do program prices include an extra 0.1 cents/kWh to support a local solar rebate program? The purpose of the extra 0.1 cents/kWh is to support Nantucket’s Solar Rebate Program. The goal of the Solar Rebate Program is to encourage the development of additional solar energy generation on Nantucket. Specifically, the money collected, known as an adder, will be used to provide a rebate of up to $2,500 to homeowners for installing residential solar systems on Nantucket. To learn more about the program or ask questions about the adder, please contact: Lauren Sinatra, Energy Coordinator / LSinatra@nantucket-ma.gov / 508-325-5379 or visit www.nantucket-ma.gov/solarrebate.